We have introduced our alter ego into other worlds not open to the Fae. We have received inquiries to bring our activities to other venues with a different theme. We take off the wings, and don’t bring the mythical characters to play. We are not pirates, exactly. We are not nautically challenged. We travel by any means necessary to spread the education we have been known for. We focus on Celtic “explorers”. We have an activity with scrolls to test your fate & see which one of 6 Celtic Explorers you are: Anne Bonny, Grace O’Malley, Edward England, Edward Jordan, Walter Kennedy or James Kirker. Trace their worldly travels on the map on the back of the scroll. We bring our well loved activities such as Roll The Stones, Petting Zoo, Live Bugs, Rub A Bug, & Mythical Mind on our journeys to new audiences. 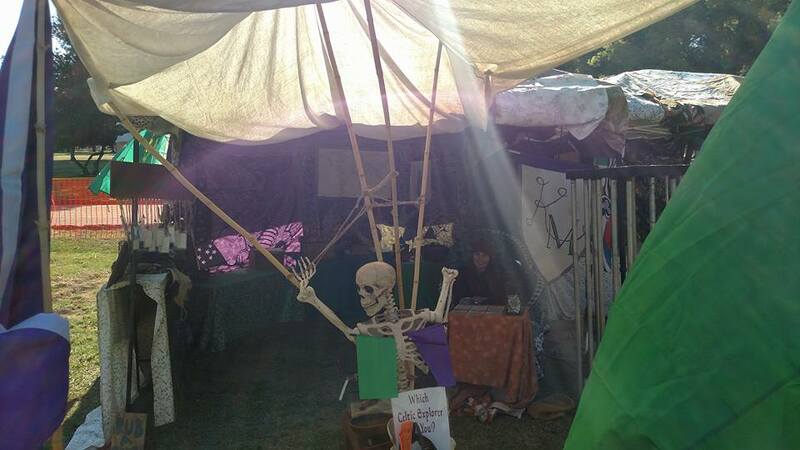 Being not “pirates”, we be Celtic explorers marauding our way across the land to bring our trunks full of educational fun to entertain at various events where they don’t believe in the magic of the Fae. Be on the lookout for our flag to be seen soon at upcoming events.